if using the emulator, press CTRL-F12 we will change portrait or landscape mode . How can i do this with BlueStack ? Go to your notification area in the taskbar. Right click on Bluestacks Agent>Rotate Portrait Apps>Enabled. There are several options available..
a. Automatic - Selected By Default - It will rotate the app player in portrait mode for portrait apps. b. Disabled - It will force the portrait apps to work in landscape mode. c. Enabled - It will force the portrait apps to work in portrait mode only. Here are instructions for how to change the screen resolution. Not the answer you're looking for? Browse other questions tagged android orientation bluestacks or ask your own question. 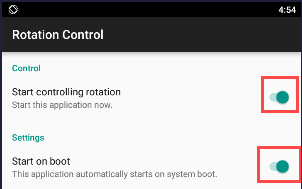 How do I change screen orientation in the Android emulator? How do I specify different layouts for portrait and landscape orientations? I want my android application to be only run in portrait mode? How to set entire application in portrait mode only?